It will come as no surprise to you that I am a lover of florals, they are after all the genre of fragrance that I tend to bang on about on a regular basis. I’m also pretty flexible in terms of which florals I like, harbouring soft spots for both the simple solifores and big buxom bouquets that announce themselves with a large degree of bombast. Crabtree & Evelyn (a brand that I’m not overly familiar with) have released a Heritage Collection, in which they have launched three floral waters that hark back to the golden age of perfumery. These three floral eau de toilettes – Florentine Freesia, Old World Jasmine and Venetian Violet – are more than just simple floral ditties and feel surprisingly well done for the price. This week’s Escentual post is a review of my two favourites from the collection (Old World Jasmine and Florentine Freesia), both of which present their respective flowers in interesting ways. Please click on the image above to head on over to the Escentual blog and read my review. Don’t forget to leave a comment whilst you’re there! 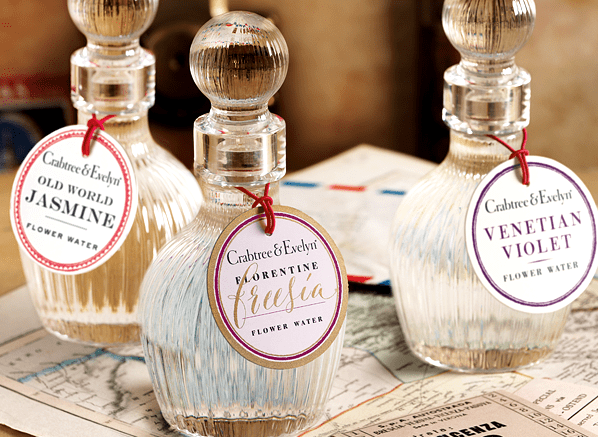 Posted in Escentual, Floral and tagged Crabtree Evelyn, Escentual, Florentine Freesia, Heritage Collection, Old World Jasmine, Perfume Review, Venetian Violet. Bookmark the permalink. Have you smelt the new offerings from Crabtree – Perfumes of the night garden? I haven’t. Are they worth a sniff? yes, I suppose they’re worth a go, I was not overly impressed but I haven’t tried them on my skin yet. I feel they are too expensive for what they are and was shocked when the sales assistant told me they were £140 for 100ml – very non Crabtree & Evelyn prices! She then proceeded to tell me that the company had compared their new fragrances to the likes or Dior and Chanel etc and they feel that the prices reflect the quality – I’m not so sure. You can purchase a bottle of Dior collection privee for less! Jeez! That’s a lot of money for Crabtree & Evelyn!